Mike Breen developed his approach while ministering in post-Christian England. One of the towns he worked in, Sheffield, England, had a 2% church attendance rate. I am, however, unfamiliar with such an environment. I grew up in Alabama, lived in Mississippi, and currently minister in Kentucky. No one would describe any of these places as post-Christian. It’s the opposite where I’ve lived: almost everyone claims to be a Christian. You might think that an approach to ministry developed in post-Christian England would not work in the Bible Belt. But the way that Breen arrived at his approach was through reflecting on how he could disciple people like Jesus did. He asked himself how the future of the church would look and how to reach people who do not know Christ. This led him to ask a simple question: “How do we make disciples?” (Kindle Locations 91-92). An idealistic reader––especially one who spends time thinking thinking about churches and ministry––would probably think that this last question (“How do we make disciples?”) is a simple question. Perhaps you would even think that most churches ask this question. But, in my experience, this is a rare question for churches to ask. Though for your church leaders’ sake I don’t recommend this, I bet you would be shocked, if not appalled, at the response you would get if you asked one of your church leaders this questions. Breen rightly stresses that we have not even been taught how to make disciples. But this isn’t surprising if we don’t even know how to make disciples. In this context, Breen makes one of his most foundational commments in the book: “If you make disciples, you always get the church. 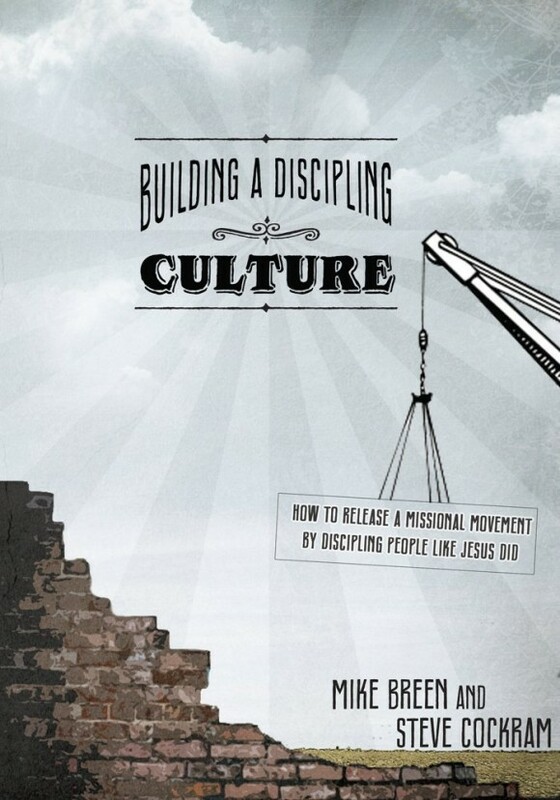 But if you make a church, you rarely get disciples.” (Kindle Locations 100-101). Jesus told us that he would build the church; he told us to make disciples. Not to make a good insight a tired one, but if we don’t know how to make disciples, then how can we build a church? The reason that many church leaders think they know how to “do church” but do not know how to make disciples is that we have separated what was not meant to be separated. “Doing church” is not just about learning to organize a Sunday morning worship service or run a greeters ministry or have good youth programs. At the core of “doing church”––of being the church––is making disciples. So Breen has pinpointed the problem. We have been so enamored with some of the activities of the church, important though they are, that we have never learned how to make disciples. I have to agree with Breen. Many church leaders complain about their members being consumers. What’s the old and widely used figure? That a church is doing well if 15% of its members are serving in some capacity in the church? Maybe our problem isn’t that our culture has trained our people to be consumers. Maybe the problem is that we haven’t made disciples; that is, consumeristic members come more from a lack of discipling than as aspect of our culture. “Granted, we should focus on people who don’t know Jesus yet, but Jesus himself gave us the model for doing that: Disciple people. If you know how to actually make disciples, you’ll reach people who don’t know Jesus. Because that’s simply what disciples do. That was Jesus’ whole plan. If you disciple people, as these people do mission in their everyday comings and goings, with the work and shaping of the Spirit, the future of the church will emerge.” (Kindle Locations 118-121). I think Breen is right about this. I’ve heard preachers say, “If you focus on the depth of your ministry, God will focus on the breadth of the ministry.” That is, if your church is really making disciples, then these disciples will carry the gospel to people who don’t know Jesus. The way to reach those who are outside of Jesus is to get those inside the Kingdom to look and live like Jesus. Jesus didn’t abandon the pious Jews to go after the sinners. As far as I can tell, the disicples were pious Jews. The gospel accounts do not characterize them as outsiders. Jesus spent time with them and modeled a Kingdom life for them. Then he sent them out into the world. They reached those outside of the Kingdom. Within the first twenty years after his death, Jesus’s movement had reached thousands of outsiders. Jesus invested in a few people, mostly insiders, and sent them out to reach the outsiders. And that was one of this core approaches to ministry. It would be overlysimplistic to suggest that the entirety of Jesus’s influence arose from his method of discipling a few people and then sending them out into the world. We should not overlook the work of the Holy Spirit, for example. But this was undeniably his approach for reaching thousands of people outside the Kingdom. As Dallas Willard reminds us in The Divine Conspiracy, Jesus was really smart. Smarter than we are. We should listen to him. That injunction does not only apply to the Sermon on the Mount, but also Jesus’s approach to reaching outsiders. The rest of Mike Breen’s book is devoted to teaching his approach to discipling a few people.